In February, the director of Zhoukou Business Bureau went deep into the inspection and guidance work of Henan Yinfeng Company. In April, Henan Yinfeng Functional Membrane Workshop was formally established, which opened new era for high-grade PO film products. In July, Henan Yinfeng plastics ranked first among the top ten agricultural film enterprises in China’s light industrial plastics industry. In September, Yinfeng’s high-end and small-size Po film was successfully tested, filling the vacancy of the company’s small-size PO Film products. On December 5, Zhang Chengzhi, member of the Standing Committee of the Provincial People’s Congress and deputy director of the Provincial People’s Congress Agricultural Committee, visited Henan Yinfeng Company. In March, Henan Yinfeng participated in the International Hardware Exhibition held in Cologne, Germany. In April, the company won the title of “Henan Civilized and Honest Enterprise” in 2016. In April, Henan Yinfeng actively participated in the 119th China Import and Export Commodity Fair (Canton Fair). In June, Henan Yinfeng was designated as the pilot enterprise of Henan Province’s industrial brand cultivation in 2016. In August, Mr. 2. kalidas, CEO of Exxon Mobil Asia Pacific, the world’s top 500 companies, led his technical team to visit Henan Yinfeng and exchange technology. In October, Henan Yinfeng actively participated in the 120th China Import and Export Commodity Fair (Canton Fair). In March, “multi-layer composite functional fresh-keeping film” (patent No. 201310420320.8) and “three-layer co-extruded EVA anti-fog and dripping multi-functional greenhouse film” (patent No. 201310219304.2) were authorized by the State Intellectual Property Office. In June, Henan Yinfeng formally put into operation the new comprehensive utilization construction project of recycled polyethylene nanocomposite drip irrigation belt, and won the honorary title of the Mayor’s Quality Award of Zhoukou City. In August, awarded the honorary title of “Henan Quality Standard in 2015” by Henan Industry and Information Technology Commission. In September, the Leading Group of Henan High-tech Enterprise Recognition and Management identified Henan Yinfeng as the first batch of high-tech enterprises in Henan Province in 2015. In May, Zhoukou Normal University negotiated with Henan Yinfeng Company to build “production, teaching and research base” together. 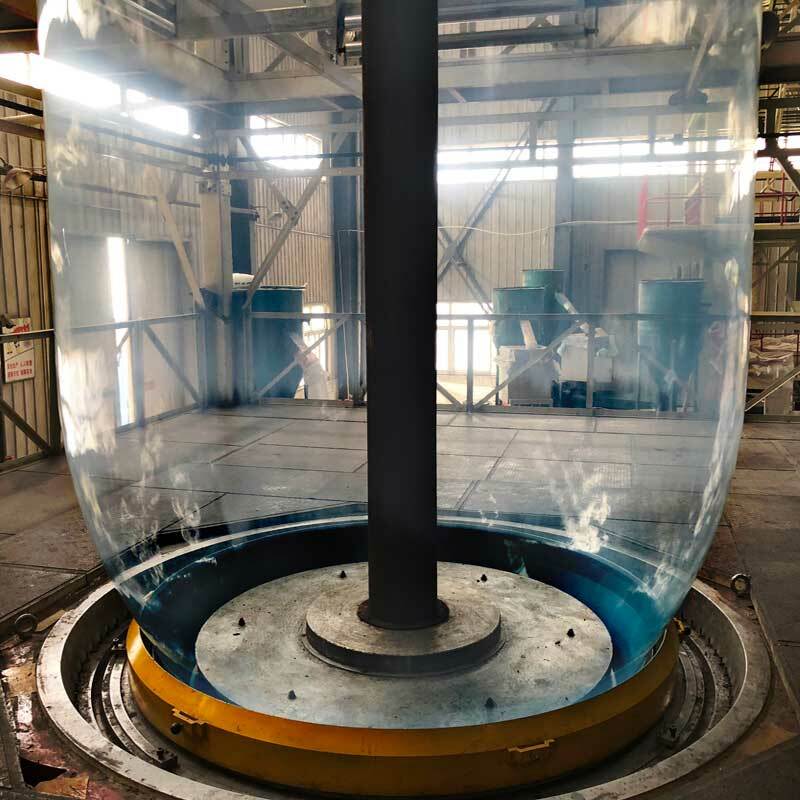 In December, Henan Yinfeng Plastics was officially awarded “Henan Province Technology Innovation Demonstration Enterprise”. In May, the Henan Provincial Committee of the Communist Party of China and the Henan Provincial People’s Government awarded Henan Yinfeng Plastics Co., Ltd. the honorary title of “Excellent Private Enterprise in Henan Province”. In July, the Zhoukou Municipal People’s Government awarded Henan Yinfeng Plastics Co., Ltd.’Advanced Enterprise in Quality Work’. In November, the company’s increased production brand plastic film was awarded “Henan Famous Brand Products” by Henan Famous Brand Strategy Promotion Committee. 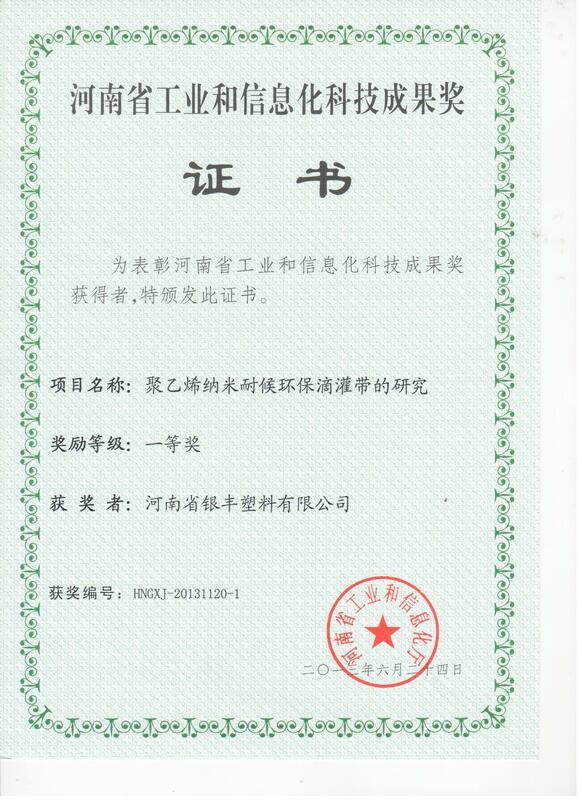 In November, Exxon Mobil awarded Henan Yinfeng “Quality Partner” in 2013.